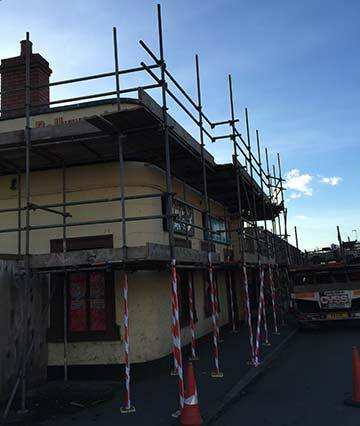 Commercial Scaffolding in Bristol – Here at Chew Valley Scaffolding Services, we understand the specific limitations and concerns of scaffolding in commercial situations. We have a great deal of experience in commercial scaffolding in Bristol and Bath, and we would be happy to discuss your particular requirements in order to erect scaffolding to suit your location. We are experienced in constructing safe scaffolding over pedestrian areas and over retail premises which is as unobtrusive as possible, always with everyone’s utmost safety in mind. Industrial scaffolding at Bristol and Bath-based industrial premises is another of our specialities here at CVSS. You can trust us to plan and erect fully functional and sturdy access scaffolding both low and high rise as required. 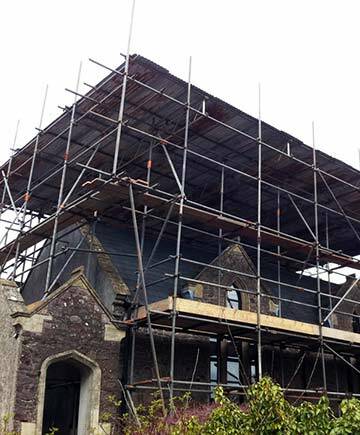 We are also experienced in erecting specialist scaffolding in Bristol which will extend over roofs for repair and construction at high level where the building requires temporary weather protection. Here at Chew Valley Scaffolding Services, we have a commitment to you, the customer, to maintain our 100% safety records. Health and Safety is our top priority, which is why we provide all of our CITB trained scaffolders with the current PPE including hard hats, safety boots, gloves, high visibility vests and full arrest equipment. Scaffolding in Bristol – We also provide method statements and risk assessments for each job as well as handing over certificates for all of our projects. Rest assured that your safety is of paramount importance with Chew Valley Scaffolding Services.